" bush|craft – noun 1. skill in anything pertaining to bush country, as in finding one’s way,hunting, or finding water." Reduced to the essentials Bushcraft means surviving or living in nature, from nature, and with nature, and it also includes experiencing nature. What does that mean in practice ? Most of all it means to acquire knowledge and skills, and to use the natural resources that our natural environment has to offer, but only to the extend that is necessary and does not harm the stability or the survival of our surrounding environment. It also includes to act in a sustainable way, while still enjoying what you do and having a recreational effect. Science is slowly discovering the role of nature in our minds, some would say in our souls. Humboldt was conscious of the fact that nature, mostly spending time outdoors, is capable of triggering emotions in us humans. In Bushcraft there is recreation, sustainability, respect for - and protection of - nature and our environment, and also a good bit of experimental archeology. A lot of time is spent with learning, (re)discovering and practicing techniques of living and surviving in the various environments of our planet, differing in climate, vegetation, wildlife, and many more. The inspirational spectrum reaches all the way from indigenous peoples, to early settlers and pioneers.
" Even after many years I’m still a student because the moment you say you’re an expert you can’t learn anymore… and the learning is what it’s all about." There is a lot of knowledge involved in studying Bushcraft and its various fields, which explains that three well known Survival/Bushcraft Gurus like Mors Kochanski, Cody Lundin and Ray Mears gave lectures at universities. 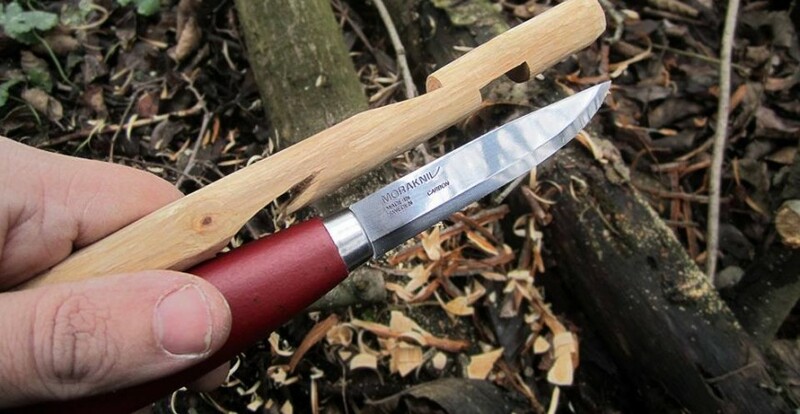 Without Mors Kochanski „Bushcraft“ would not be the way that we know it nowadays. All in one Bushcraft is not only a hobby like many others, it is more like a lifelong studying, a way of life, and a passion. We may call it "the neo-aboriginal way of life". Bushcraft is, for many people, not only a hobby for recreational purposes, but it is a part of their daily life, their personal development, their way of life, and a passion. Bushcraft opens our eyes and mind to perceive and to experience nature in new ways, to discover, to experience, and to live. It gives you the opportunity to discover your own psychological and physical limits, to overcome them, and to improve your psychological and physical well-being, while keeping your ecological footprint as small as you possibly can. The idea of keeping your ecological footprint as small as possible is related to the fact that we managed to bring our planet to the end of its capacities in a very short period of time, and the only way to prevent things from getting unimaginably worse is a change of our mindests. The goal is to live with nature and our environment, not against it. The following videos by Arthur Haines and Ray Mears will give you a better impression of what seems to hide behind the word "Bushcraft". Arthur Haines and the Neo-Aboriginal Lifeway from David E. Anderson on Vimeo.